Additional Info: Singapore Best violin Teacher Manikantan offered violin classes to students of all ages at affordable prices. Both group and individual classes are offered according to your preference. Online classes through Skype is also available. 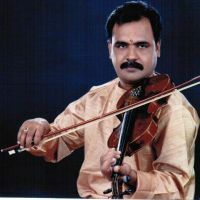 Classes will be conducted by a renowned local violin artist, G Manikantan, who was conferred the title "Isai Gnana Jothi " in India, "Sangeetha Kala Nipuna " by Nrityalaya Aesthetic Society, Singapore and "Sangeetha Samraj" by Sapthaswara Sangeethalaya in Malaysia. He is also a conductor of Indian Orchestra in Raffles Girls' Secondary School.